Every now and then I come across a print on Pinterest that I just have to try. I pinned this print on my other account a while ago but decided to do it today as it kind of fit with the weather where I live: grey and cloudy. 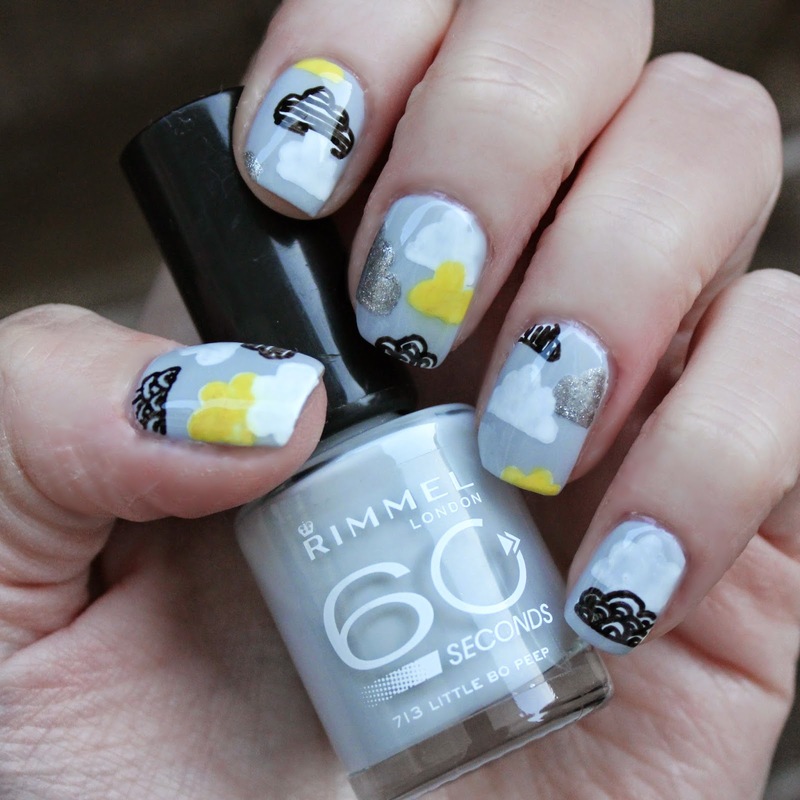 I used a few Rimmel polishes for this look: Little Bo Peep, Your Majesty*, and Cute As a Kitten Heel*. 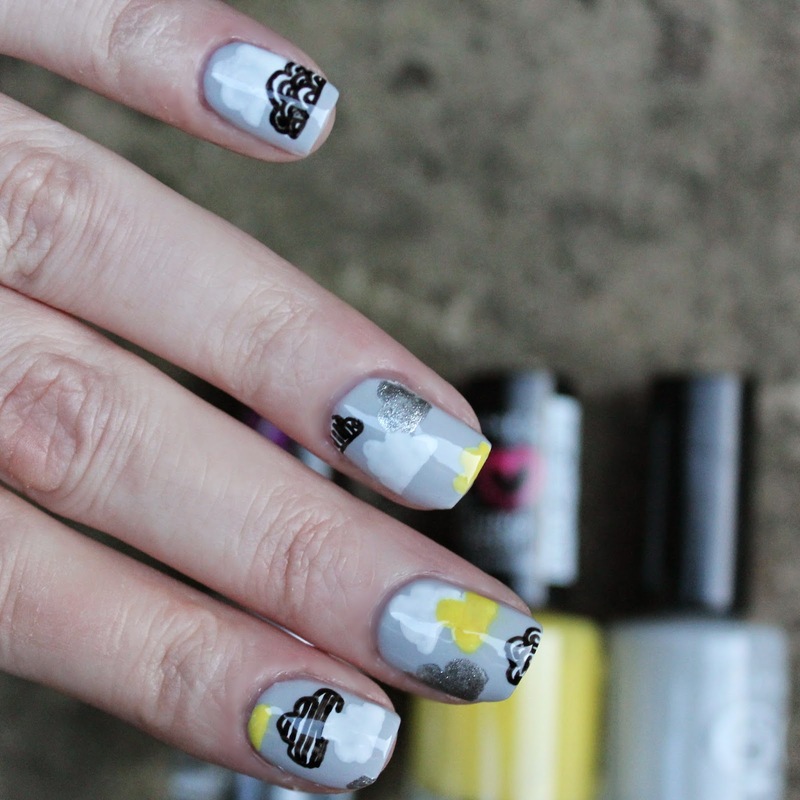 Little Bo Peep is one of fave greys for nail art and for every day wear, it's so versatile! I like the interest that Your Majesty* adds to the look, It might have been a bit boring without a bit of shine. 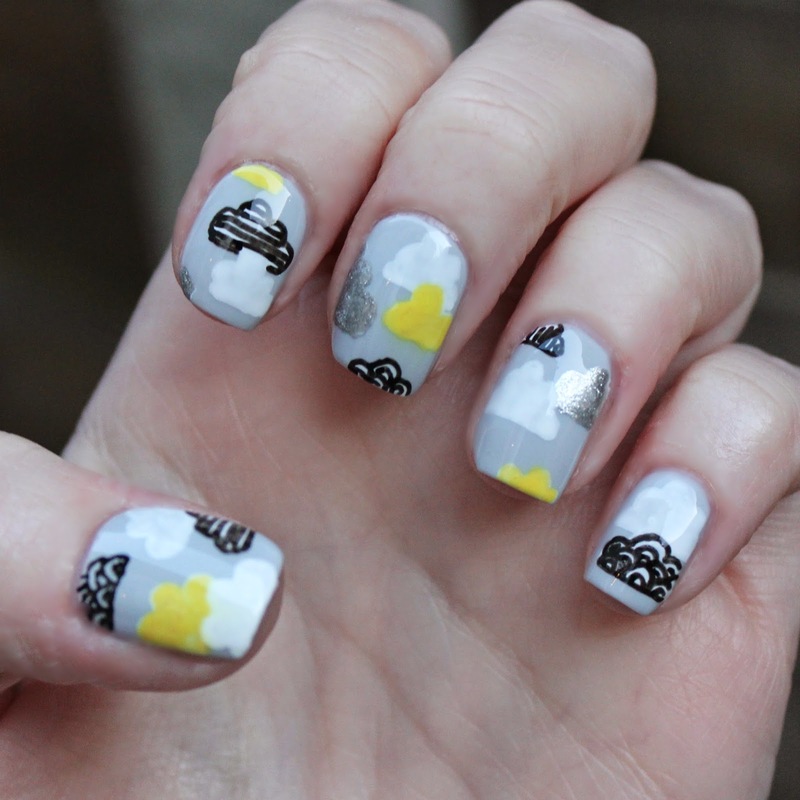 Let's hope this silly grey weather clears up soon! I really like that cartoony style. And the pop of yellow! It looks great! I thought they were stickers at first.